Pledge your allegiance to House Frey of The Twins with this house banner based on HBO's hit series Game of Thrones! 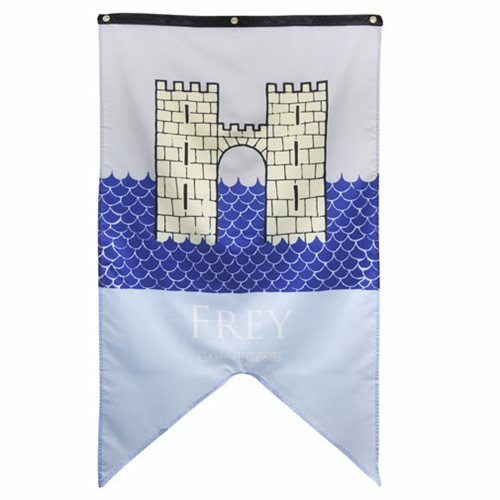 Made of fabric, the Game of Thrones Frey Sigil Banner measures approximately 30-inches wide x 50-inches tall and is ready for display. Ages 14 and up.